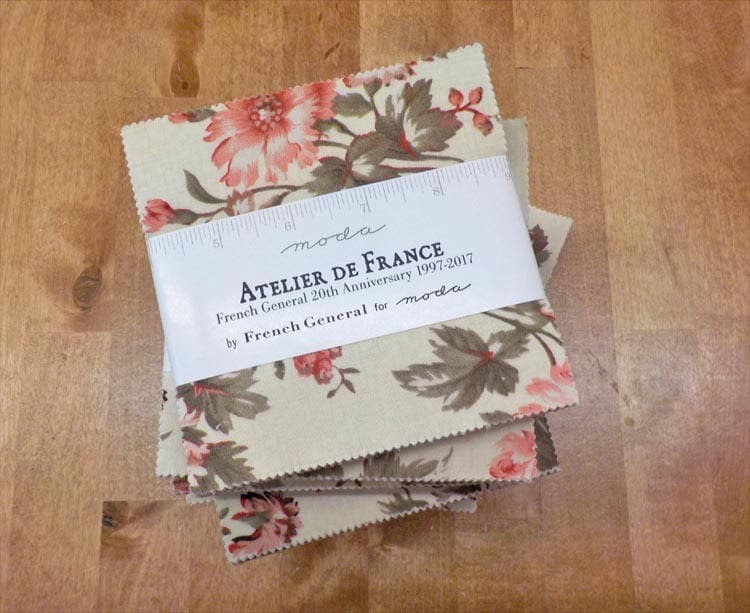 Atelier De France charm pack by French General for moda fabrics. This collection brings to mind the rolling hills of the French countryside and the little studios that you'd find tucked into back gardens and on sloping side hills. Vintage French-inspired florals, vines, and stripes in classic French General colors...pearl, oyster, rouge, rose, and roche.